Gather round mateys and let me tell you about an experience at Disney that any pirate, or mermaid should experience. 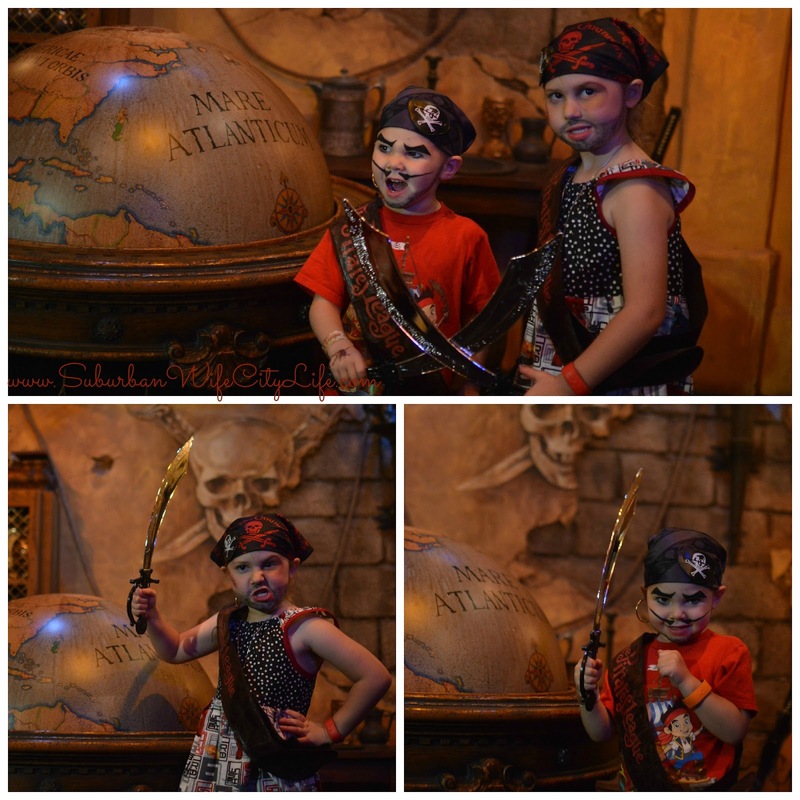 We’ve all heard about the Bibbity Bobbity Boutique, but I don’t have a daughter who likes to dress up as a princess; she would much rather be a pirate so when I heard about The Pirates League I knew I needed to get her and Camden a reservation. What exactly is The Pirates League? Well it’s an experience. As you sign in you’re asked to pick the makeup you want done. Eleanor chose Black Eyed Jack, Camden chose Captain Hook. They have other options like Jack Sparrow, a Mermaid, Empress and even Jake to name a few. As you walk in you’re greeted and asked to roll the dice to figure out what your pirate name will be. This is based off the number you roll and your birthday. Eleanor was given the name Grace Lockbottom and Camden was Edward Keelkin. Then you wait for your pirate name to be called so you can become a real pirate. “Grace” was called and our stylist was awesome. They play the character of pirate so well, really getting the kids excited about everything. It’s not easy for a kid to sit in a chair sometimes, but they know some tricks to get the kids to sit still and enjoy themselves. As part of the package they get a bandana and I loved that they gave “Grace” the option of either the red or pink. 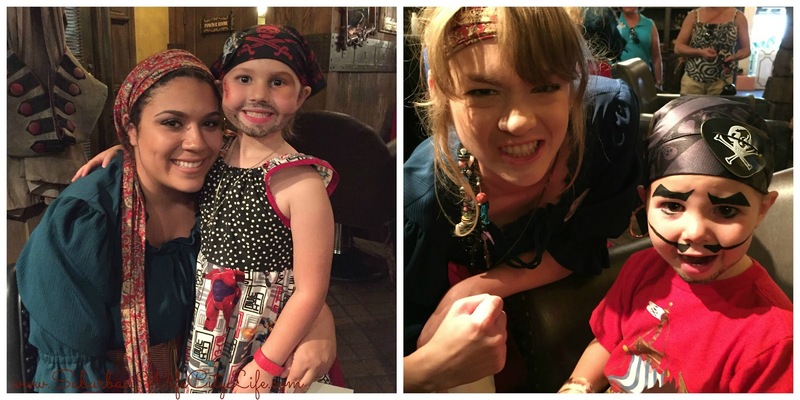 Of course she wanted the red, it went better with the beard and scar Captain Hook gave her! They also get an eye patch, earring, sheath/sash, sword and some loot! When they are finished perfecting the look a pirate oath is taken and the announcement that there’s a new pirate to which everyone replies with YO HO! You would think it’s done, but it’s not. They then get their loot bag and sword and are taken into a special back room. This room doesn’t allow photos or videos so having Memory Maker was key. I’ll keep this part secret as I did take an oath! As they exit they have official documents with their pirate name and they are encouraged to join the Pirate Parade at 4:20pm. We stuck around and participated in the parade. The kids looked great and they walked around singing pirate tunes and enjoying all the fun. 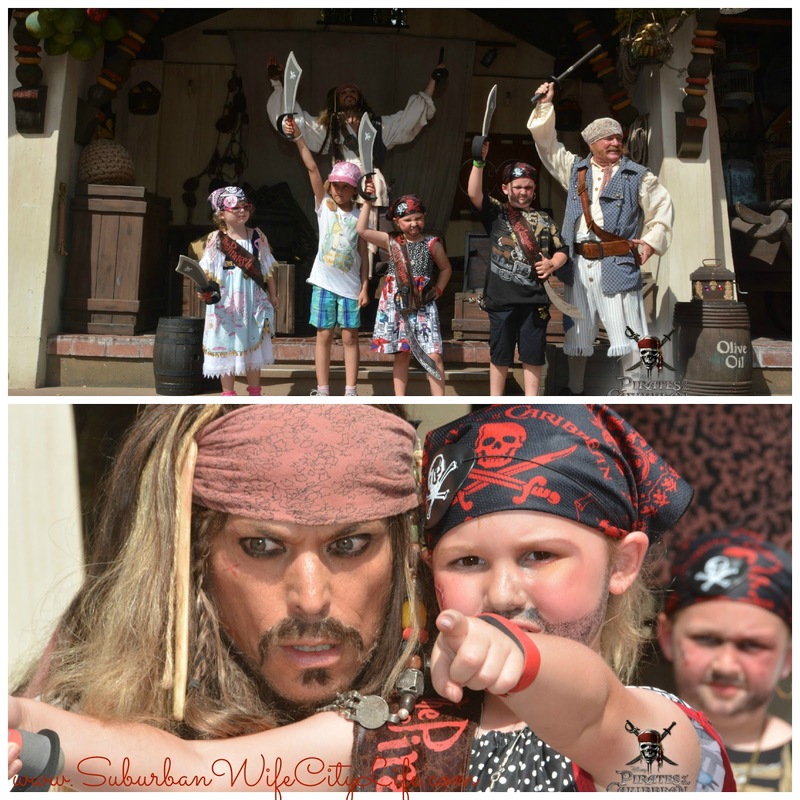 We also got to watch Pirate Jack’s show, which Eleanor was able to participate in as well. The Pirates League cost $39.95 per child and was worth every penny. 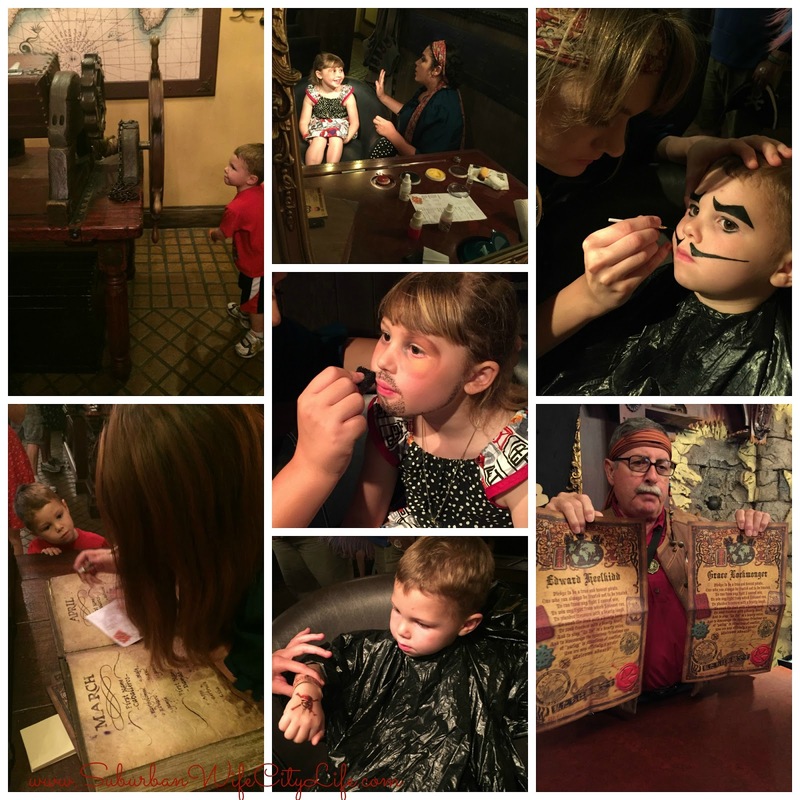 I felt the kids walked away with a lot of items and the experience was perfect for them. Plan an hour for the experience. It took us that long. The parade is probably 15 minutes, and it’s adorable seeing all the pirates and mermaids together so if you have an early appointment make sure to come back. Bring a travel pack of makeup remover with you. After about an hour in the heat the kids beards were starting to melt away so we used the makeup remover to clean them up a little and I was glad we had them. 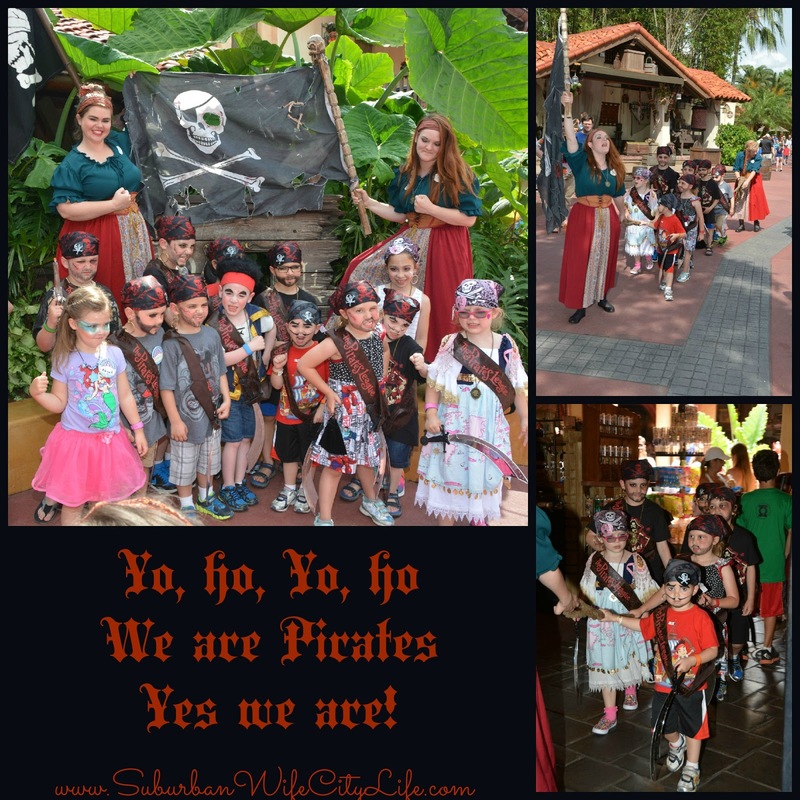 Have you done The Pirates League before? Any tips to share? Disclaimer: I paid for this experience personally. All opinions are my own.